Thanks to its banana-belt temperatures, the Royal Gorge Region in south-central Colorado is a year-round outdoor recreation destination. When the rest of the state finds itself under a blanket of snow, it’s still possible to bike, climb and more in Cañon City and beyond. Fremont County’s proximity to the Front Range also makes it super accessible from cities like Denver and Colorado Springs. Discover the breadth of recreational opportunities that are enjoyable throughout the year. 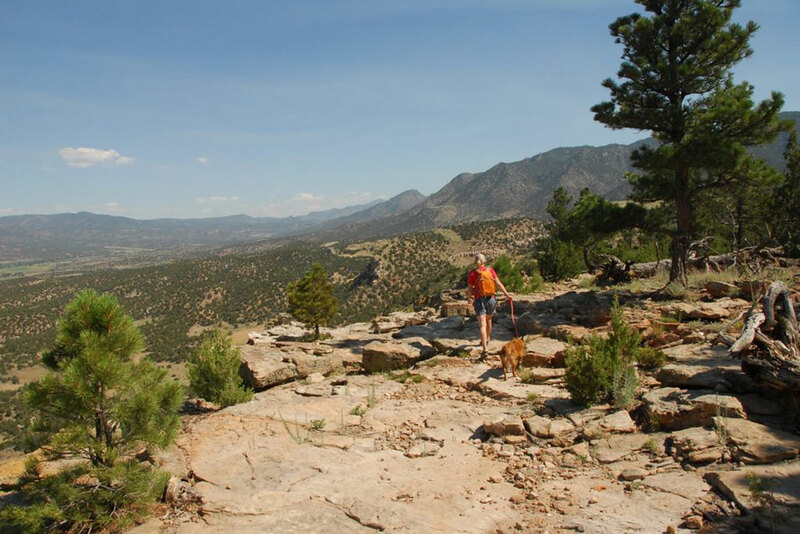 Due to the Royal Gorge Region’s status as a microclimate that tends to have warmer weather than the surrounding areas, hiking and biking are favorite activities nearly 365 days a year, with plenty of trails to explore. From mellow routes to steep and difficult ascents, you’ll find epic hikes suitable for all abilities and desires. The Royal Gorge Rim Trail at Royal Gorge Park is an easy 3-mile loop that affords awe-inspiring views of the canyon and Arkansas River below. For those up to the challenge, the Dakota Trail in the Hogbacks Open Space treats hikers to the geologic wonder of the Dakota Ridge formation — layered bedrock that provides clues to Colorado’s past as an inland sea. 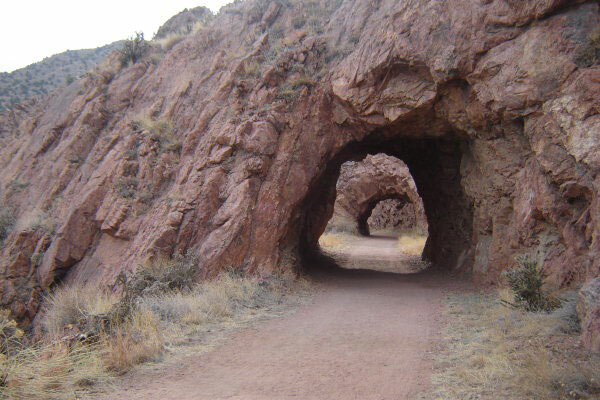 You’d also be remiss to skip a stroll along Tunnel Drive, which gets its name from three granite-blasted tunnels that are spaced along an old railroad bed, and boasts unbeatable vistas of the spectacular surrounding canyon. Two-wheel enthusiasts have plenty of options as well, given the number of road- and mountain-biking trails in the area — many of which are accessible from Highway 50. 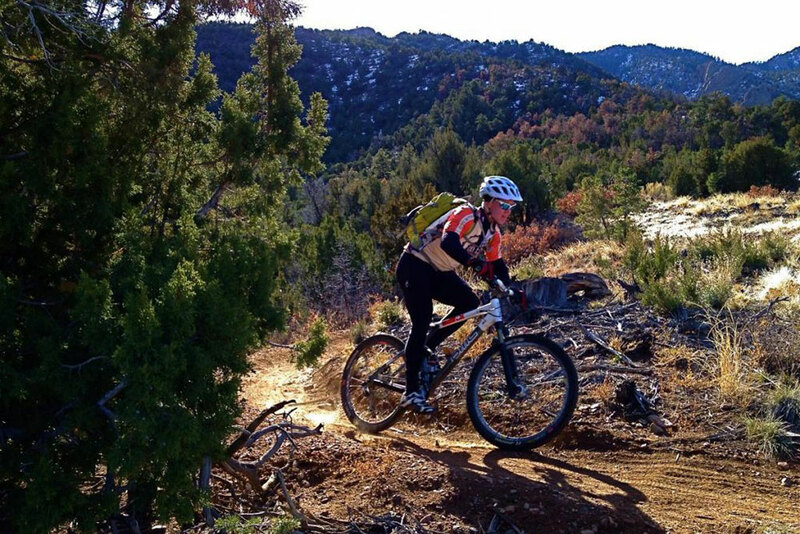 Just north of Cañon City, one of the most popular locales for mountain biking is Red Canyon Park, where you can pedal through gorgeous sandstone rock and spires. Head to the Oil Well Flats Trail System for 13 miles of interconnected singletrack, cross-country routes and technical obstacles that supply a whole day’s worth of adventure. Varying degrees of difficulty attract both novices and experienced riders alike, and everyone can appreciate scenic features like a cliff of pitted slickrock, rolling prairie and a shaded patch of woods — all with the backdrop of the Sangre de Cristo mountains. Opened in 2017, the South Cañon Trail System added 10 miles of singletrack to traverse, from the kid-friendly Mutton Bustin’ to Hard Time’s aptly named technical climb. And in 2018, five additional miles of trails were added at the Royal Gorge Bridge and Park. 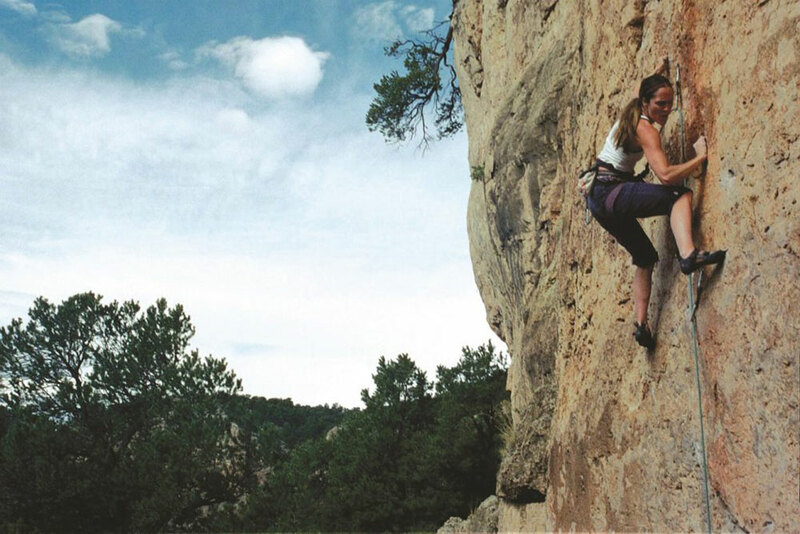 Throughout Cañon City and Fremont County, parks, open spaces, fields, playgrounds and more offer places to soak up the outdoors and engage in activities and sports. Temple Canyon Park is a treasure for those looking to avoid the crowds while exploring the beautiful natural landscape. Grape Creek runs along the floor of the canyon, the perfect spot to wade into cool waters when the surroundings are rich with green trees and grasses in the spring. At Red Canyon Park, take a short hike to get up-close to red-sandstone formations overlooking Four Mile Creek. Wildlife aficionados should keep an eye out for bird species like black-throated warblers and gray flycatchers that call the park’s piñon-juniper forest home. For a fun distraction, perfect your toss on one of two disc-golf courses in Cañon City: George Hills and Harrison School. The area is also filled with recreational facilities catering to a bevy of interests, including an archery range, a basketball court and skate ramp at Old Harrison Park, John Griffin Park’s ropes challenge course, pickleball courts at Rouse Park and a pup-oriented gathering spot in the form of the Arkansas Riverwalk Dog Park. Nothing says the outdoors like thrilling pursuits, and there’s no shortage of ways to get your adrenaline pumping in the Royal Gorge Region. Enlist the expertise of local rafting outfitters to guide you down the Arkansas River through the Royal Gorge or Bighorn Sheep Canyon. Though the rush of navigating whitewater and rapids may leave you breathless, so will the scenery! There’s a lot of ground to cover throughout the region and racing across the landscape on an ATV or OHV is sure to quicken the pulse. The Seep Springs and Texas Creek areas are often rideable in the winter, providing more than 60 miles of trails collectively. And for another kind of riding, saddle up to experience the Royal Gorge Region on horseback. Whether you choose the 8,000-foot elevation and ponderosa-pine forests of the Deer Haven area or the more remote and steep granite canyons of Beaver Creek Wilderness Study Area, you’re bound to have a memorable day with your steed. Take some time to slow down and bond with nature in quiet solitude, and what better way than a camping trip? 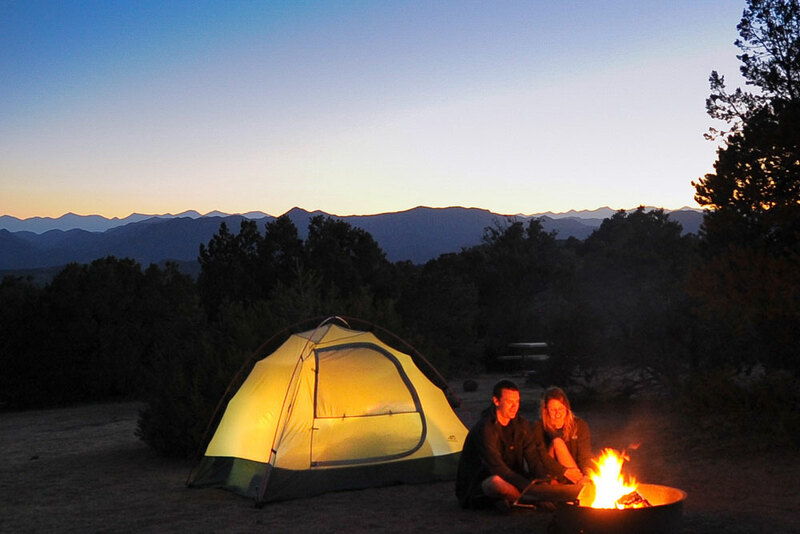 You may be the type to rough it in a tent or perhaps you prefer the conveniences of an RV — either way, a night under Colorado’s star-filled sky is mesmerizing no matter which campground you choose. Anglers will also relish the peaceful vibe that fly-fishing along the Arkansas River’s Gold Medal waters can ensure. Bighorn Canyon — known for its caches of brown and rainbow trout — is especially picturesque, as is the Parkdale Recreation Area, from which you can go about a mile west upstream for a secluded section on BLM lands. Reach new heights just a short drive north of Cañon City, where the popular Shelf Road Climbing Area affords some of the most challenging rock climbing in Colorado on hundreds of bolted routes. Though best suited for spring and autumn, there are some shaded paths to escape the heat of summer. Tucked into the wilderness, Oak Creek Grade has two sections, Tanner Dome and Stultz, with plentiful passages up the rock using established anchors. As you make your ascent, it’s impossible not to absorb the magnificence of the Royal Gorge Region. Request a free visitor’s guide, educate yourself on Leave No Trace principles for exploring the outdoors in Colorado and find itineraries for the Royal Gorge Region.